When you want to drive through Washington DC in style, you choose the 2017 Land Rover Evoque. This model is not only impressive on the outside, but it boasts a luxury interior that makes other drivers jealous. See for yourself why the cabin of this new model was designed to impress. One of the most attractive features of the Land Rover Evoque is the panoramic roof. This fun design style is full glass so that you and your backseat passengers can enjoy a glorious view of Baltimore. Aside from the view, you’ll also receive a fluid amount of natural light, which makes the cabin feel roomier every minute of every day. Whether you opt for the five-door or the coupe, you can rest assured you’re getting a great amount of space inside the cabin. If you opt for the five-door model, you’ll enjoy 20.3 cubic feet of cargo space for all your belongings. If you instead opt for the coupe, you’ll receive 19.4 cubic feet of cargo space. No matter which design style pleases you most, you can rest assured you’re getting great space with each one. No matter if it’s a cold day in Washington DC or a hot day in Arnold, you can count on the Land Rover Evoque to keep you completely comfortable. This vehicle contains a state-of-the-art heating and cooling system that allows you and your passengers to set your desired comfort level and enjoy the ride perfectly. In addition, this model features heated and cooled front seats, so aside from the air temperature, you can rest assured your body is as comfortable as you’d like. Another fun thing you’ll enjoy inside the Land Rover Evoque is the technology. For starters, this model comes with a 380-watt Meridian Sound System that includes 10 perfectly placed speakers. No matter where you’re sitting inside the cabin, you’ll enjoy acoustics that are unlike anything else you’ve ever before experienced. Sound isn’t the only technology you’ll find in the cabin. The 10-inch touchscreen navigation system helps you get from Point A to Point B with ease. You can also connect your smartphone to your vehicle and have access to your favorite apps and information using InControl Apps™. Basically, you can receive the latest innovations by simply enjoying a drive in your new vehicle. The Land Rover Evoque has made a name for itself as a beautiful luxury vehicle packed with all the features and amenities Baltimore drivers could want. What stands out in this vehicle is also the interior, which boasts impressive design and materials. 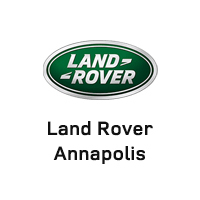 If you want to learn more about this new model, visit Land Rover Annapolis today. You can see our full selection of vehicles at 101 Ferguson Road in Annapolis. You can also contact us online or call us at (410) 904-3108 to schedule a test drive or apply for financing.